Update 4/15/19: After hiding dark mode behind an Easter egg for over a month, Facebook has announced that they are rolling it out globally starting today. You should see the toggle in the Settings as shown below, no emoji required. Facebook Messenger is one of the most popular IM apps, working off the main social media platform to allow connected users to conveniently message each other. While other IM platforms exist, including Facebook’s own super popular WhatsApp, Facebook Messenger has its own draws because of its tight integration with Facebook which allows the internet giant to bake in extra functionality like engagement tools. Despite Facebook’s massive infrastructure and resources, it has taken quite some time for Facebook to implement highly requested features. Dark mode is one of those functionalities that has been hogging the limelight time and again, but with no real rollout in sight. News of Messenger’s redesign with an included dark mode surfaced last year in May, and the redesign with the dark mode rolled out to a handful of users in September. The simpler redesign began widely rolling out in November, but the dark theme was nowhere to be found. You could enable the dark theme unofficially, but that method needed root access, which put it out of reach for most of Facebook’s target audience. 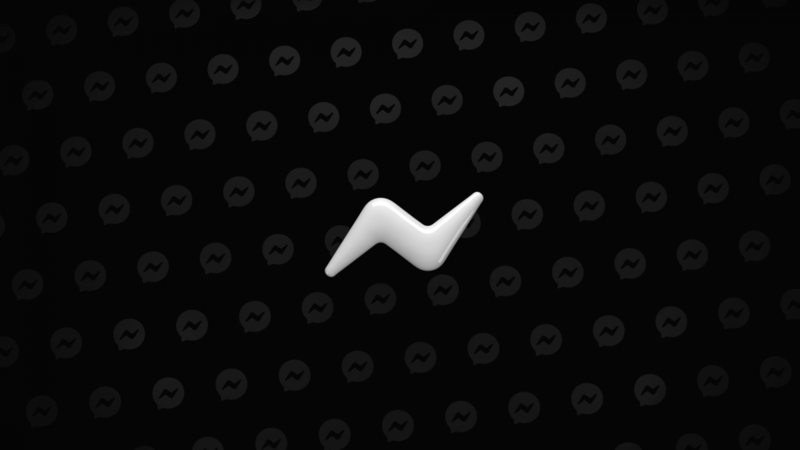 As it turns out, Facebook has included an easter egg in Facebook Messenger (via Reddit) that activates Dark Theme without really resorting to too many additional steps. All you have to do is send a crescent moon emoji (  this one, specifically) to anyone in chat in Messenger, exit out of the app completely and enter back again. Then, long press on the sent moon emoji, and you will have the dark mode toggle pop up on your settings screen. It sounds silly, but it works, similar to how one can enable Snapchat Alpha by locating Bermuda on the Snap Map. We can confirm this easter egg trick works — there are legitimate strings present inside the APK, and several of our own team members who use Facebook Messenger have managed to activate dark mode through the emoji. The method works on both Android and iOS. Try out the  moon emoji, and let us know if it works for you, in the comments below!